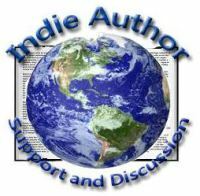 read and enjoyed one of Amber Hawkins’ short stories featured on her blog, http://ambersalley.wordpress.com/. This is a novel that most definitely falls in the Crime and Detective genre. Although set in the present day, this is very much a good old fashioned detective story and reads very much like a Ray Chandler or Sam Spade novel; if it weren’t for the occasional references to modern technology, the reader could almost imagine themselves in a period 1930’s murder investigation. It’s the classic story of an old school detective teamed up with a tenacious young female reporter, determined to get to the bottom of the of the seemingly motiveless murder of a high class call girl: Throw in a Senate Governor, a jealous wife, and a mysterious killer lurking in the background, and you have all the ingredients of a an engaging and fast-paced ‘who and why they did it story.’ There are a number of sub-plots and unexpected turns that slowly and cleverly fall into place to form the overall story. The ending was not what I was expecting, and is suggestive that this might well be just the first in a longer series of such stories. If I had but one tiny criticism it would be that I do think there is just the slightest over reliance on semi-colons in the first half of the story, but again, I say that based on my own reading and writing preferences, and I suspect other readers may well disagree with me on this. Despite not being a dedicated fan of ‘classic’ detective novels, I did find this story to be well written, enjoyable and entertaining. One of the things I don’t usually enjoy with some detective novels is when the author tries to impress with almost Sherlock Holmes levels of analysis and clues that would take a super computer to figure out. 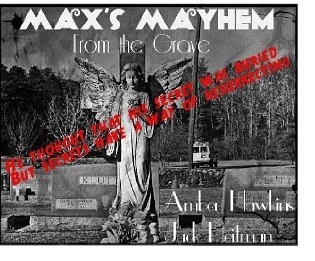 In ‘Max’s Mayhem’, Amber Hawkins manages to get the balance more or less just right to intrigue and hold the reader’s interest without drowning them in procedural detail, relying instead on the detective’s and the reporter’s respective instincts and experience to move the story forward. At sixty two pages, this is more a novella than a full length novel, but packed within those pages is a story that fans of the murder, crime, and detective genres will really enjoy.